Carnation Auto Blog: Ford Ecosport Diesel Vs 2014 Honda City Diesel – The Battle Begins! Ford Ecosport Diesel Vs 2014 Honda City Diesel – The Battle Begins! Ford Ecosport is one of the best selling cars of 2013-14. Undoubtedly, the mini SUV segment is doing very well in India. With the launch of Honda City Diesel, Ford now has a competitor. Although these two cars belong to 2 different segments, still there will be competition between them in terms of sales and popularity. When Honda launched Amaze last year, the competition was less in the mid size sedan segment. Amaze only had Dzire however Honda City Diesel has to face stiff competition from many cars like Sunny, Vento, Verna and also Ecosport Diesel. The all new Honda City diesel has 1.5 litre i-DTEC engine that delivers a maximum power of 100 PS and 200 Nm of torque while Ecosport has 1.5 litre TDCi engine, which is capable of delivering power of 91 PS. In terms of weight, Ecosport is 130 kg heavier than the City, which makes Honda City diesel quicker than Ford Ecosport. To Know More About Ford Ecosport Diesel, Click Here: Ford Ecosport Diesel Engine| Price| Specifications| Mileage etc. Both the cars have different body design however the quality of plastics used in Ecosport will let you down. 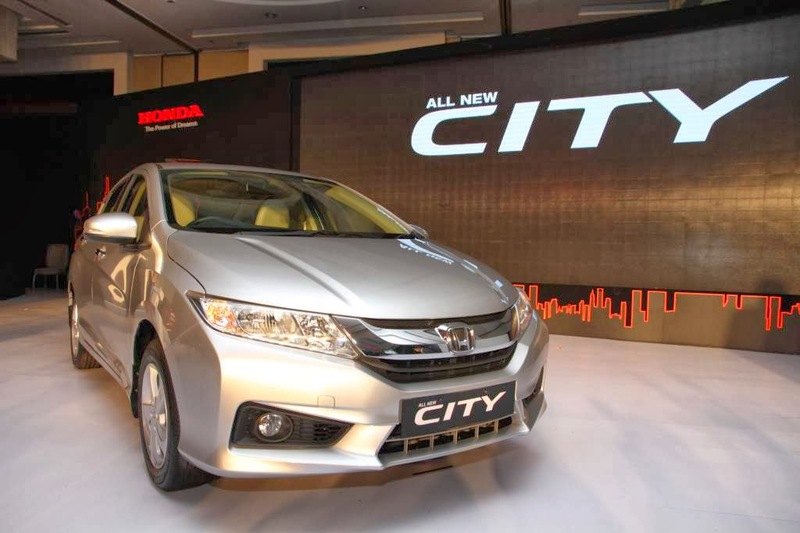 The boot space of Honda City is 164 litres more than the New City. The interiors of Honda City exude sophistication and the brand new sedan has more legroom in the rear seats compared to Ecosport. On the road the New Honda City Diesel offers a pleasurable drive with its efficient six speed gearbox while Ecosport has well tuned suspension and can be good performer in the highways. Ford Ecosport has many features to tempt an urban buyer however Ford made great compromises in power, space, boot space and interior space. Some of the common features between the two cars include in-car entertainment system, climate control air-conditioning, power windows and ABS. Some of the extra features available in Ecosport are leather upholstery, push button stop/start function, rear parking sensors, four extra airbags etc. Both the cars have appeal, style and features that will attract buyers however the New Honda City Diesel looks stronger than Ecosport. Ford Ecosport however will always be the favorite mini SUV in India. To Know More About 2014 Honda City Diesel , Click Here: 2014 Honda City Diesel Engine| Price| Specifications| Mileage etc.